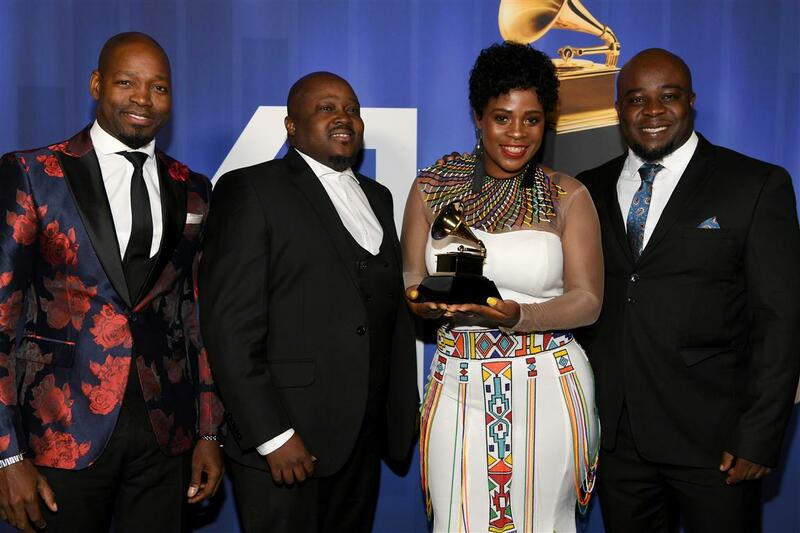 Soweto Gospel Choir Wins Grammy For Non-Religious Category! – Soweto Gospel Choir wins Grammy for a non-religious category! The 61st annual Grammy Awards held on Sunday. At a ceremony dominated by female performers and presenters, Former first lady Michelle Obama made a surprise appearance. In a more exciting news, The Soweto Gospel Choir has won in a non-Gospel/Christian category! The Group won a Grammy for the Best World Music Album, for their album “Freedom”, in a category that comprised of Nigeria’s Seun Kuti, Bombino, Fatoumata Diawara and Yiddish Glory. Also, Tori Kelly won for the Best Gospel Performance and Best Gospel Album. Lauren Daigle also walked away with two Grammys. Soweto Gospel Choir won Grammy In 2006 and 2007, for Best Traditional World Music Album. In December of 2018, the choir joined Beyonce on stage at the Global Citizen Festival, singing a Zulu rendition of the song Halo.